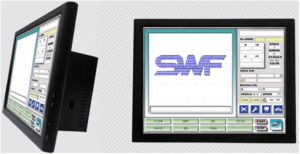 Your Embroidery Services Ltd has announced the launch of the all-new Sunstar SWF ENS Embroidery Machine Touch Screen Controller. The all new ENS embroidery machine touch screen controller has been designed to create an ideal upgrade path for those SWF embroidery machine operators who are devoted to their older SWF – A, B, C and D Series – embroidery machines but want more. John-Paul Burton, sales director at YES Ltd, said: “SWF and YES Ltd takes its old customers as seriously as its new ones. The company is aware that technology moves on, and instead of only keeping stock of spare parts for the industries 10-year average, the forward-thinking company over produces so that it is able to upgrade machines from as far back as 1996. With this all new embroidery machine controller, longstanding customers can take advantage of a full colour 15-inch touch screen together with the extra added benefits of a USB interface, keyboard, mouse and multiple communication ports. Not forgetting the massive stitch memory with more memory channels (rooms) to replace old, deteriorating (standard or LCD) operation control boxes. With 300 design rooms and over 200m stitch design memory, overall this product makes older model SWF embroidery machines slicker and much easier to operate, giving the operator full colour on-screen embroidery that you can see as the design progresses. 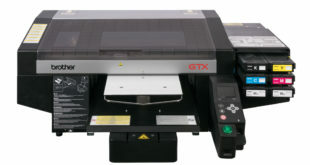 One of the extra added benefits is that the older IO, CPU and memory boards have also been upgraded to the latest technology and positioned, as before, within the new full colour touch screen operational box to further extend the life of the machine.